Boasting an award winning restaurant headed by Michelin-starred chef Michael Caines. A charming rural property in the pretty county of Devon. Explore the miles of trails that run through Exmoor National Park. A half hour drive will join you with the Tarka cycle trail. Make a trip to the pretty coastal villages of Lynton and Lynmouth. Kentisbury Grange offers the ultimate country escape - a luxury boutique hotel for discerning travellers and fine dining on site for foodies. 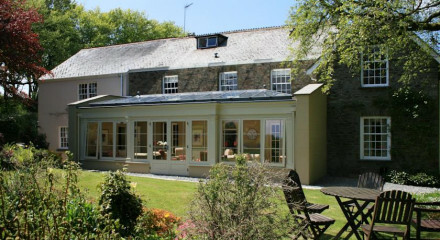 Our location on Exmoor National Park is also great - with easy access to the best of North Devon. 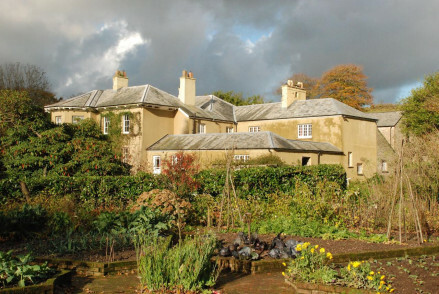 Nearby you'll find the stunning beaches of Ilfracombe and Woolacombe, National Trust properties like Arlington Court and amazing walks that offer breath-taking views across rolling Devon hills. We offer two kinds of breakfast at The Coach House by Michael Caines - continental including homemade granola, freshly baked pastries and a selection of fresh local produce, or a cooked breakfast prepared on request by our talented chefs. Onsite restaurant The Coach House by Michael Caines will change the way you think about restaurant dining - offering the ultimate foodie experience in a totally relaxed and unstuffy atmosphere. Nearby there are many wonderful country pubs - we recommend The Black Venus. It depends on the occasion, but our Garden Suites are popular all year around. They're cosy and peaceful in the cooler months, and bright and airy in the warmer months - perfect for experiencing our grounds during the Spring. The restaurant is the draw at this rural Exmoor hotel, offering guests cuisine from double Michelin-starred chef Michael Caines at affordable prices. The hotel itself is friendly and comfortable, but its grounds are spoilt by ugly self-catering units.